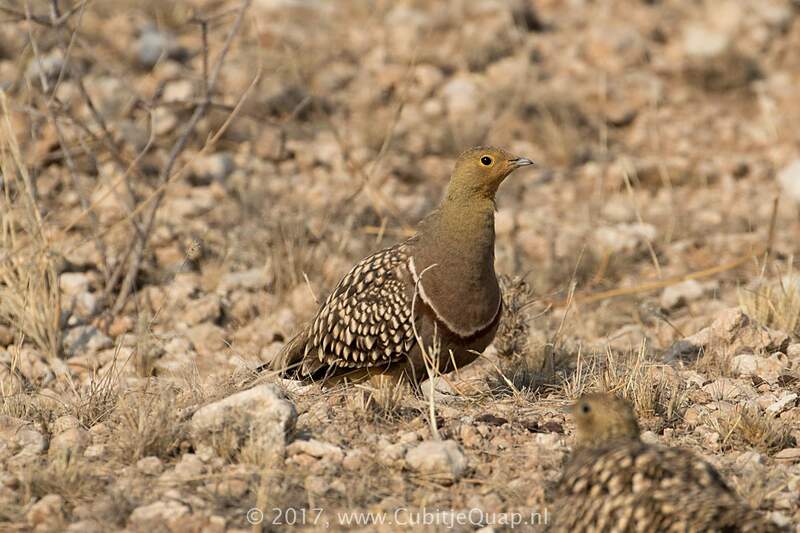 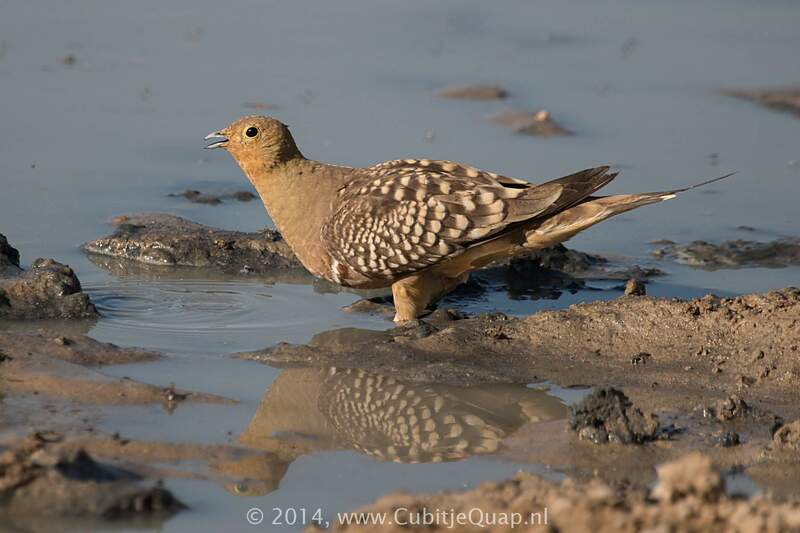 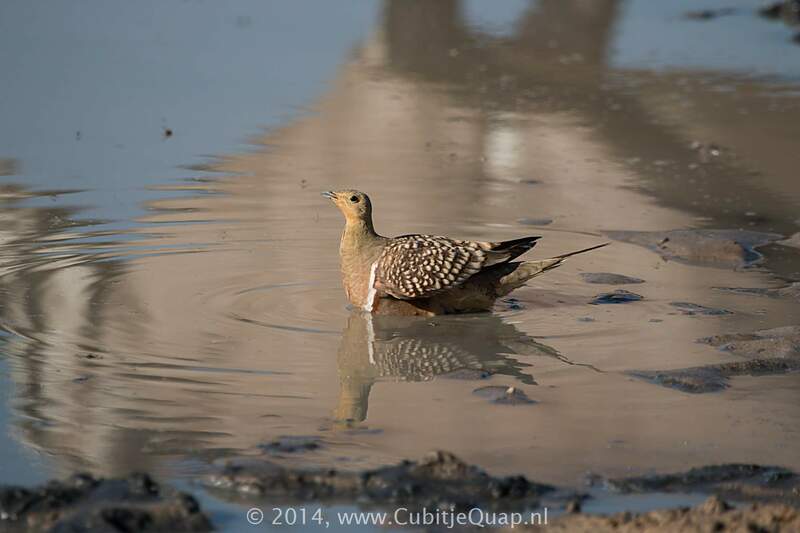 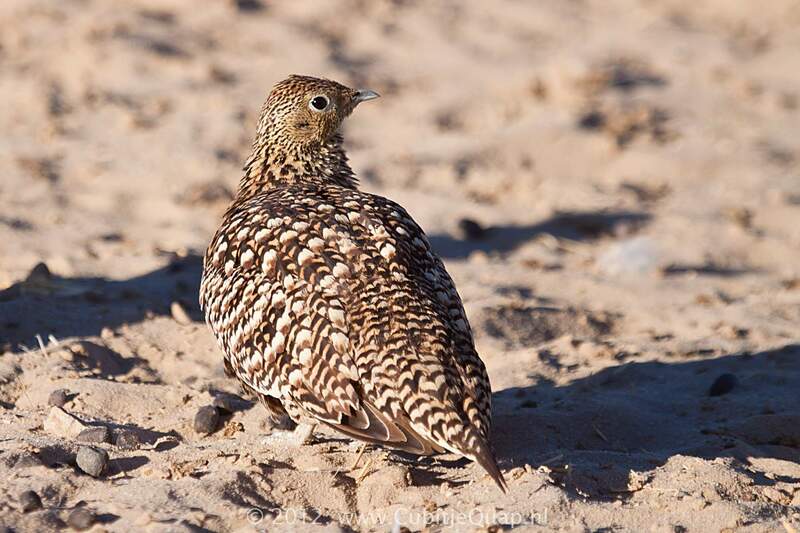 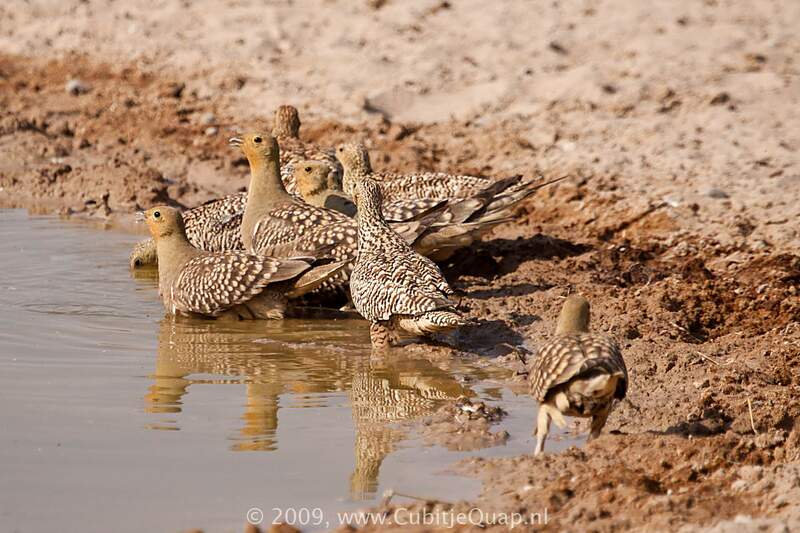 This is the only sandgrouse in the region with a long, pointed tail. 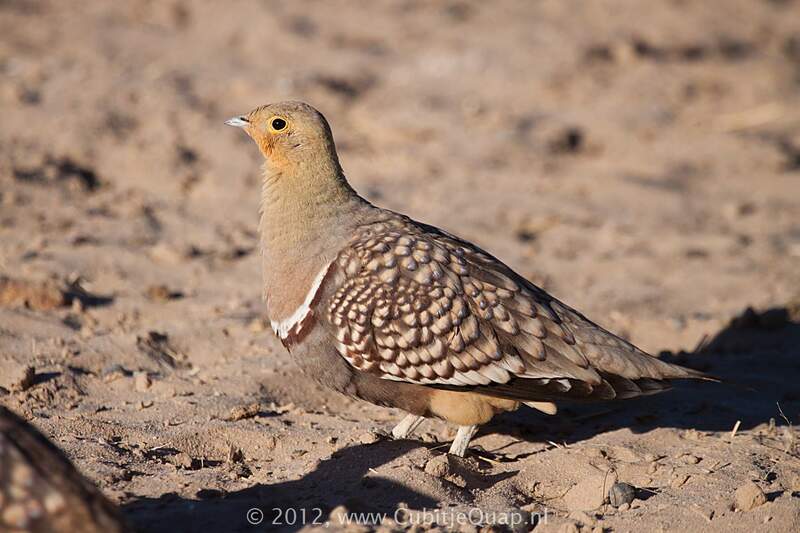 At rest or walking, male most resembles Double-banded Sandgrouse, but lacks the black and white bands on the forehead and has a plain (not barred) lower breast and belly. 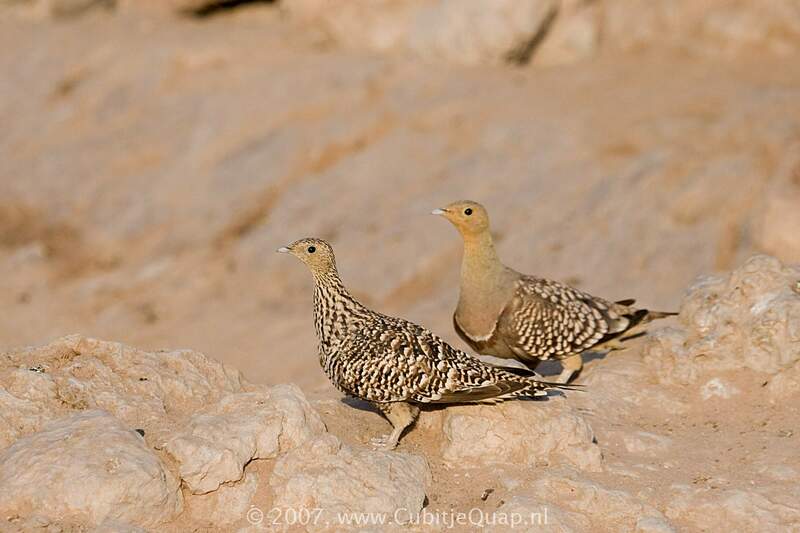 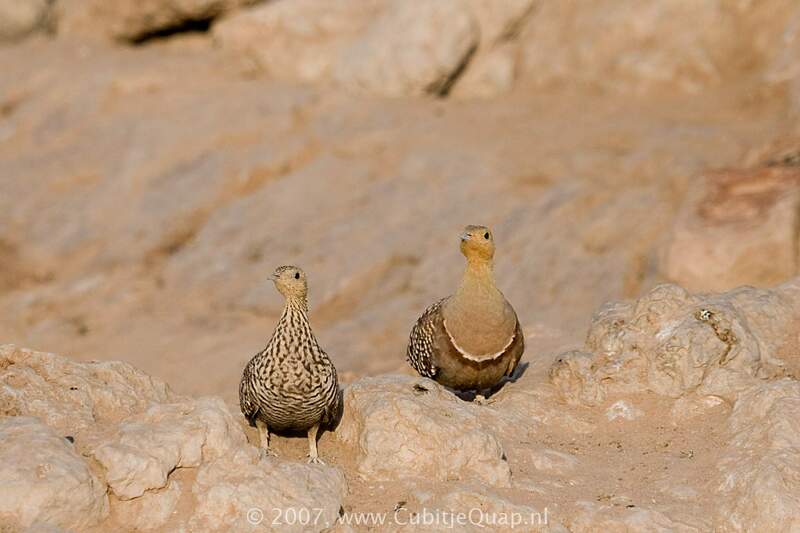 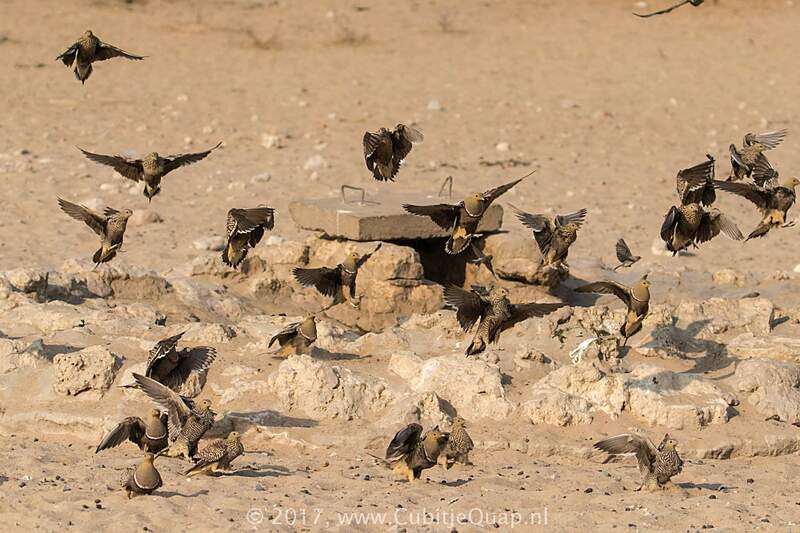 Female and juvenile differ from female and juvenile Double-banded Sandgrouse in being more buffy yellow on the throat and breast, and in having a pointed (not rounded) tail. 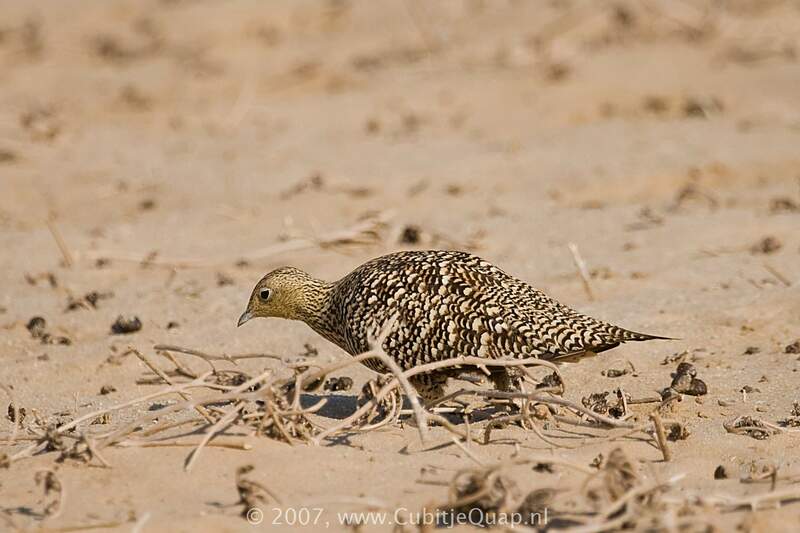 A nasal 'kalke-vein', given in flight.